Apple has joined the consortium behind the Qi wireless charging system, supercharging rumors that owners of future iPhones could live tangle-free. Last week, a financial analyst claimed Apple will release three new iPhones with wireless charging capabilities this year, reviving an on-again, off-again rumor about the next-generation iPhone's capabilities. 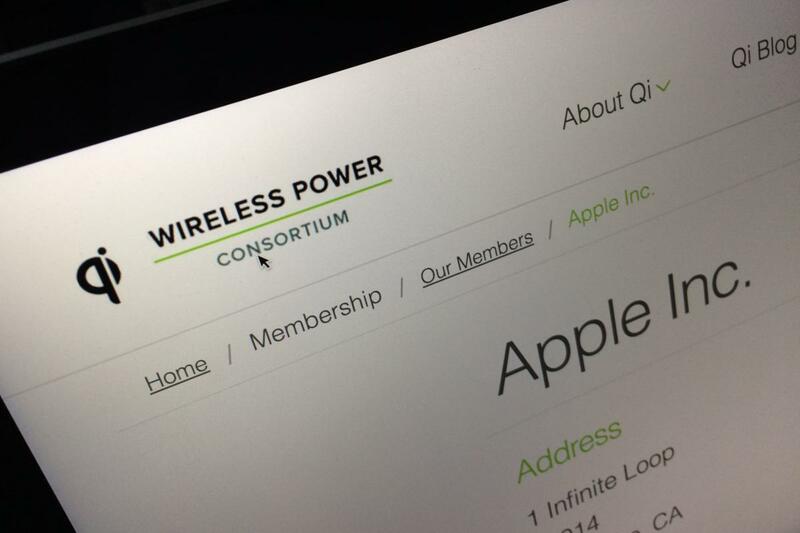 The appearance of Apple's name on the membership list of the Wireless Power Consortium, Qi's creator, over the last week adds credence to that rumor. Its name was not on the list cached by Google's search engine last Tuesday. "After several years of increasing rumor, Apple’s membership with the Wireless Power Consortium points strongly to the expectation that the next iPhone will include wireless charging technology," said Vicky Yussuff, an analyst at market watcher IHS Technology. Don't expect too much, though: That's pretty much what IHS analysts said about the last iPhone, too. In fact, Apple's membership of the WPC may have nothing to do with phones. The magnetic charging adapter supplied with the Apple Watch will charge Qi devices (although the Watch itself is programmed not to work with just any Qi charger, only those supplied or approved by Apple) so membership may just be a delayed recognition of that usage. Nine in 10 consumers want wireless charging on their next phone, according to Yussuff. The technology is now so widely adopted that it's no longer something Apple can ignore, she added. IHS expects around 350 million wireless-chargeable devices to ship this year in a market largely driven by Samsung Electronics, which has included the capability in its top-of-the-range phones since the launch of the Galaxy S6 in 2015. Samsung also sells wireless charging covers for the older S4 and S5. In fact, Samsung included not one but two wireless charging systems in its S6 and S7 phones: Qi and the rival Powermat technology from the Power Matters Alliance. The PMA has since merged with another wireless charging consortium, the Alliance for Wireless Power (AW4P) to form the Airfoil Alliance. That organization does not list Apple among its members, however. Samsung has put off its next phone launch until late March, while Apple is not expected to announce new models until September. Later this month, though, mobile phone manufacturers will gather in Barcelona for the Mobile World Congress. Yussuff expects the show will see at least one major phone maker unveil a new device with wireless charging.